It is already almost summer here, but that doesn’t mean we’re slowing down in delivering more. Our new beta version brings a new incarnation of the browser VPN, as well as improvements to key features like Opera’s ad blocker, pop out video and personal newsfeed. 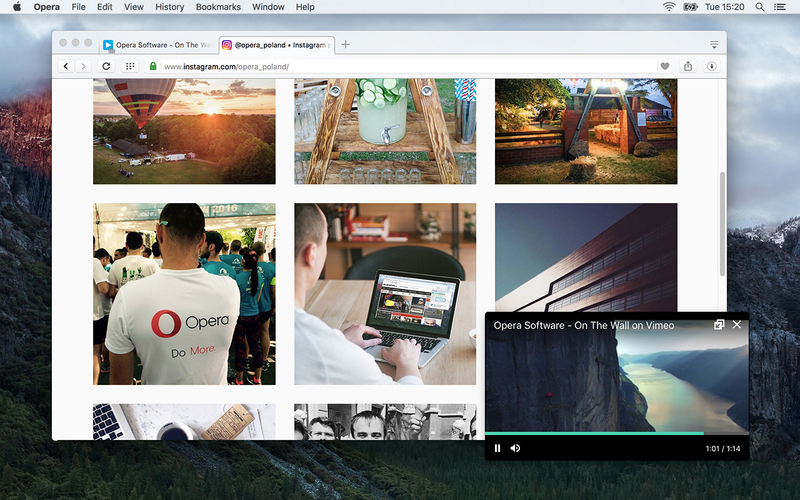 In Opera 39 beta, you can pop out videos from more websites, including Vimeo. In addition, the feature now supports normal actions like play/pause on a single click. On top of that there is now a preference to disable the feature, for those who do not want it. 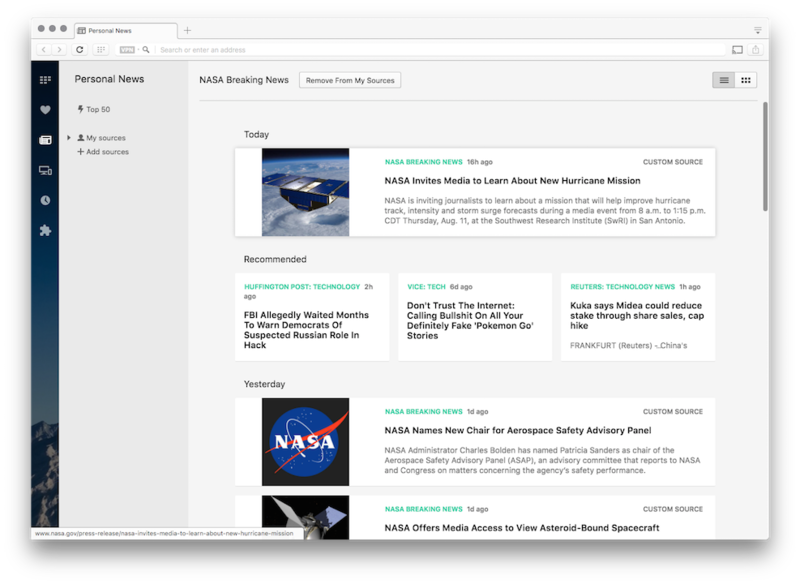 Personal news, one-stop news tailored just for you, has even more options in the latest beta version. Various improvements include the option of removing suggested sites and a better way of adding and removing sources. Also, the layout of this feature has been improved. 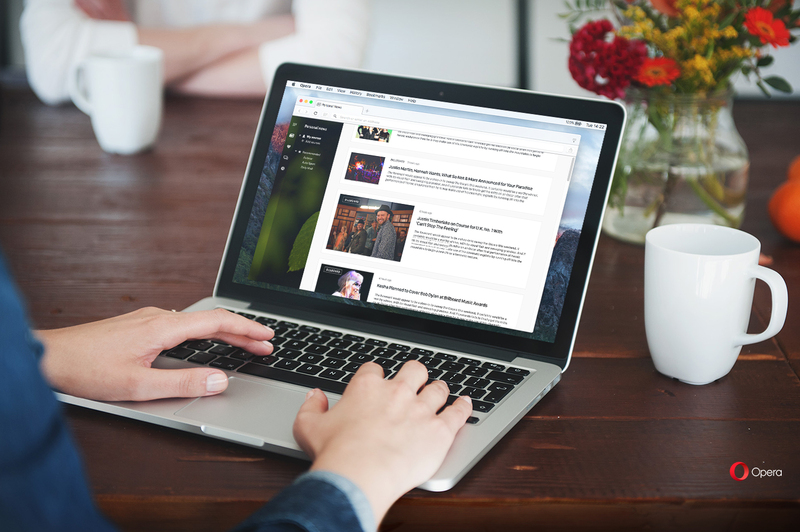 On top of that, this beta version brings you a new way to look for inspiration and interesting stories on the web. So, you’ll now see a new, top 50 stories feature, which gives you the top picks for a selected country. This list of top stories is separated from your personal feed, but you can easily include sources from it in your personal list. The ad blocker is now included in Opera in order to provide the fastest browsing experience. With Opera 39 beta, you can now add your own block lists. To find a new list, make a web search for a blocking lists recommended for your region; then, copy and paste it into the “Custom block lists” dialog in your preferences. We believe that this feature is for advanced users only, so experiment with it a little bit and find the best match for you. Once added, the browser will start using the list immediately without the need to restart Opera. Opera 39 beta features a new, built-in, free and unlimited VPN, right in your browser. Since the first release, more and more servers have need added to bring enough capacity for smooth browsing. In addition, we have added the options for people to choose whether to use it as a global setting for all tabs or simply when in private browsing mode. Please note that there is some A/B testing running to help us make the product rock solid. That means some of you won’t see VPN available as a feature. To get the version with VPN, all you have to do is reinstall the beta browser on top of your existing one (without losing any data). It’s very important for us to test it this way, because we need to see crash logs from both versions, with and without VPN, so we can detect and address any severe issues. We really appreciate your input that has helped us to release so many new features recently. Please keep your comments coming! The changelog containing detailed list of bugs and fixes can be found here. Previous article: Opera Stable 38.0.2220.31 updateNext article: Life begins at 40! Opera developer goes 40 today.